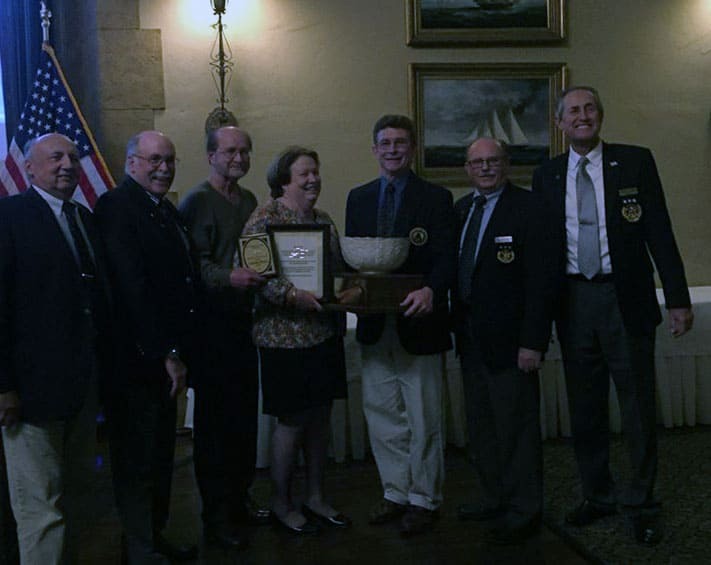 Congratulations to Loretta Sherry Rehe, who also happens to be the head scorer for the North American DN Class, for receiving the Richard Clogg Trophy for a lifetime of service to the sport of sailing at Detroit Regional Yacht Racing’s 2017 awards party. Loretta volunteers many hours year round, on both types of water- hard and soft. Thank you for all you do for ice sailing, Loretta!